The Shetland Islands are a remote island archipelago in the North Sea, lying midway between Iceland, Scotland and Norway at the same latitude as the southern tip of Greenland. It boasts dramatic seascapes, captivating wildlife and friendly island hospitality. I’ve gone on many a press trip these last few years, and one of the things I’ve noticed about most of them is how fantastically organized and jam-packed the itineraries are. I’ve sometimes thought that the PRs I’ve dealt with should go into business creating tailored holiday itineraries. Last Spring, my Aberdonian food blogging friend Claire over at FoodieQuine asked me to suggest a few places in Shetland to visit during her family four-day spring break. 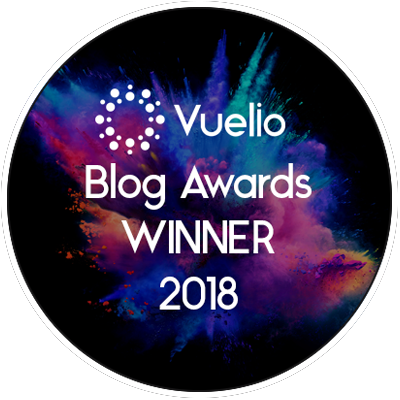 I did, and I got a bit carried away, thoroughly enjoying creating a full itinerary and they enjoyed experiencing it (you can read all about their trip here & here!). 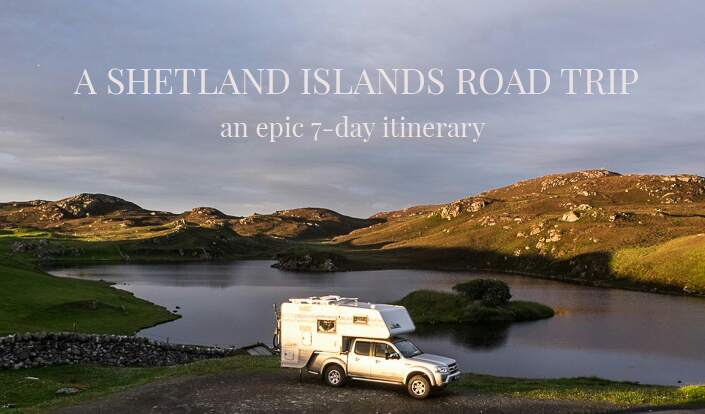 That gave me the idea to create a longer, more detailed Shetland Islands road trip itinerary for any of my outdoor foodie adventurer readers who might fancy visiting us up here in the wild, wild North Sea. I’ve lived in Shetland for 20 years, come March 2019, so I’ve explored a fair few nooks and crannies of this tiny island archipelago. Not all of them, mind, there’s over 1200 miles of coastline on this 85 x 35-mile island group, so there are plenty more adventures to be had. This post only mentions walks, restaurants, hotels and activities I have personally experienced and enjoyed. It’s not sponsored by any brand. I’d also like to thank Rachel from Vagabond Baker for the use of her photograph, pictured above. She took this photo while on her own epic road trip adventure of Shetland a few years ago, and she stayed at this particular spot in her Thundertruck upon my recommendation. You can read all about her road trip adventures here. Top tip: no matter what time of year you’re visiting, pack waterproofs and a warm hat. 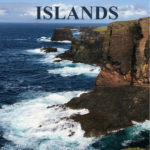 Get yourself a copy of Walking on Orkney & Shetland Isles by Graham Uney. 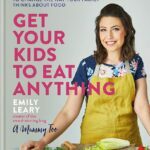 Disclaimer, this is an Amazon Associates affiliate link, which means if you click through and make any subsequent purchase from Amazon (not just this book) within the next 24 hours we will earn a small commission. I always recommended folk come to Shetland via the ferry, at least once, to get the full Shetland Islands experience. We’re 200 miles north, as the crow flies, from Aberdeen, Scotland – a 12/14 hour overnight ferry (depending on if it’s stopping off in Orkney or not). You don’t get that sense of island remoteness if you take the one hour Aberdeen flight. Plus, the ferry is a more reliable method of transportation, especially during the summer months when fog (and a worrying number of ‘technical difficulties’) cause regular flight delays and cancellations. Just get the boat; it’s part of the adventure. 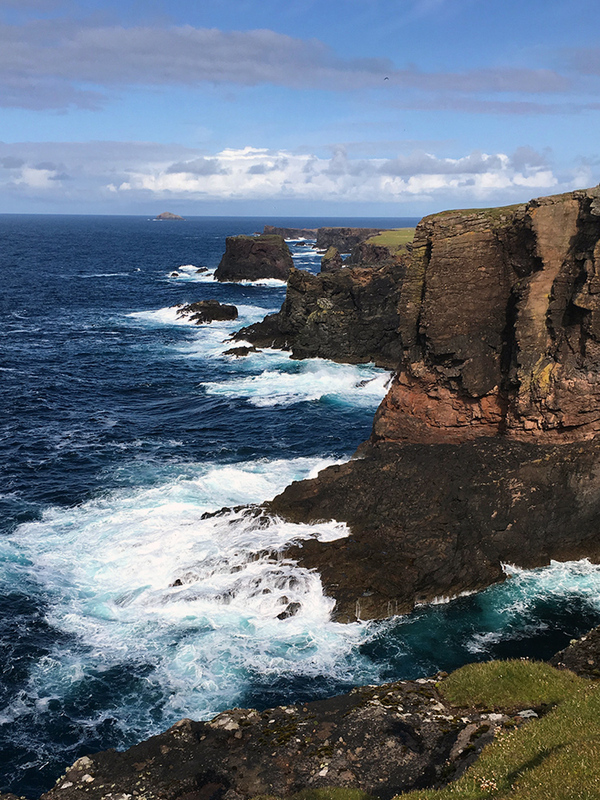 You can get a 20% discount on the Northlink fare with a Scotrail Highland Rover Ticket, so why not make Shetland part of a Highlands of Scotland trip? Depart from either Orkney or Aberdeen, and arrive in Lerwick the following morning. You can save money on the ferry by getting a reclining seat, or even a sleeping pod instead of a cabin. I usually sleep in a pod, which is a like a big lazyboy chair with a USB charging port. 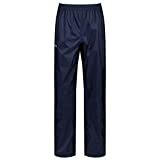 It’s comfortable enough for my 5′ 4 3/4 inch size, but I think taller folk might struggle. For foodies, invest in a pass for the Magnus Lounge. For just Â£18.50you get two drinks vouchers (2 x glasses of wine, beer or spirits), table service in the quiet restaurant with sea views and a lovely continental breakfast in the morning. Their menu features a decent amount of Shetland and Orkney produce, so you’re guaranteed to try something local. There are also cosy couches to spend the evening on reading your book, unlimited tea, coffee, snacks and non-alcoholic drinks. Well worth the price, I think, and it helps pass the journey in comfort (unless you’re a high-seas-spewer, in which case go lie down as soon as the boat starts moving and don’t get up until it stops. Plug yourself into an audiobook to pass the time). Lerwick, from the old Norse ‘Ler vik’ meaning “muddy bay”, is Shetland’s capital. 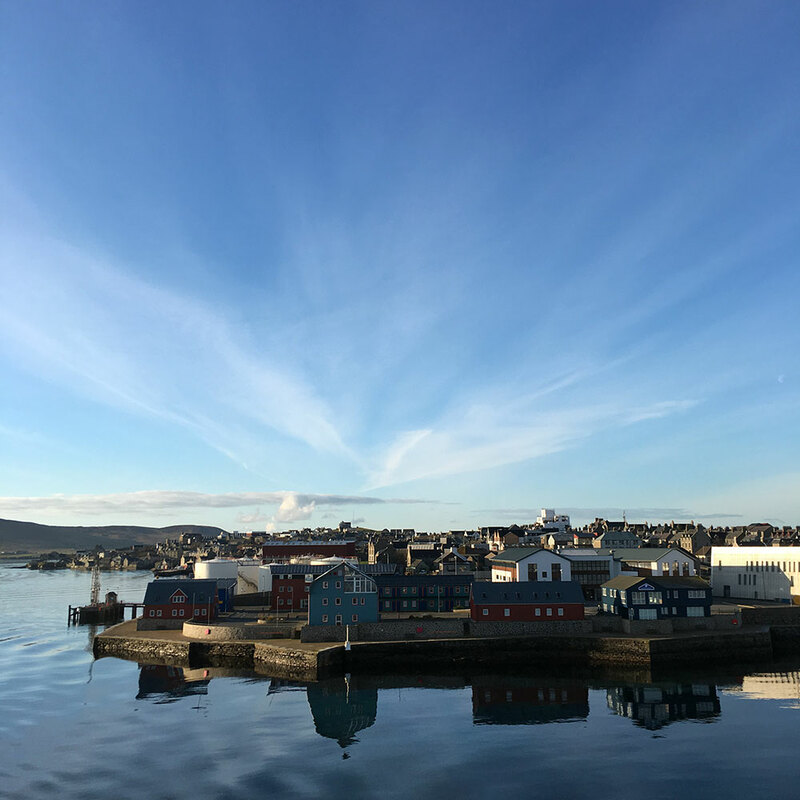 With a population of around 8000, it boasts a wide variety of shops and eateries, and it’s a good place to start your Shetland Islands road trip. 7:30 am – arrive in Lerwick. Stay on board the ferry until 9 am as nothing is open. Enjoy a leisurely breakfast in the Magnus Lounge. 9:00 am – walk to Star Rent-a-Car across from the Viking Bus Station and hire a car if you’ve not brought your own. Alternatively, you can book a car in advance and they will drop it off at the ferry terminal for you. 10:00 am – check into your accommodation. I have stayed overnight at The Lerwick Hotel (modern and stylish), The Kveldsro House Hotel (classic old-fashioned, central) and The Queens Hotel (historic, central) and can personally recommend them. 11:00 am – browse the shops on the high street (and taste test the chocolates at the Mirrie Dancers Chocolatier – winner of Small Retailer of the Year 2018 award at the Scottish SME Business Awards) and check out the local produce in Taste of Shetland. Visit the Tourist Information to see if anything interesting is happening while you’re here. 12:00 noon – lunch at The Peerie Shop Cafe. Every Wednesday they make reestit mutton soup, a dish unique to the Shetland Islands. They’ve got a fairly active Facebook page, so check it that morning for the daily specials. PLAN A scenic walk around Lerwick old town and the Knab (walk #41 in Walking on Orkney and the Shetland Isles) over to the Clickimin Broch, a well-preserved 2000-year-old Pictish round-house. Give yourself a couple of hours for this. PLAN B if the weather is poor (it happens, sorry in advance) head to the Shetland Museum & Archives for a fascinating glimpse into Shetland’s history. The Shetland Library is always well worth a visit too. 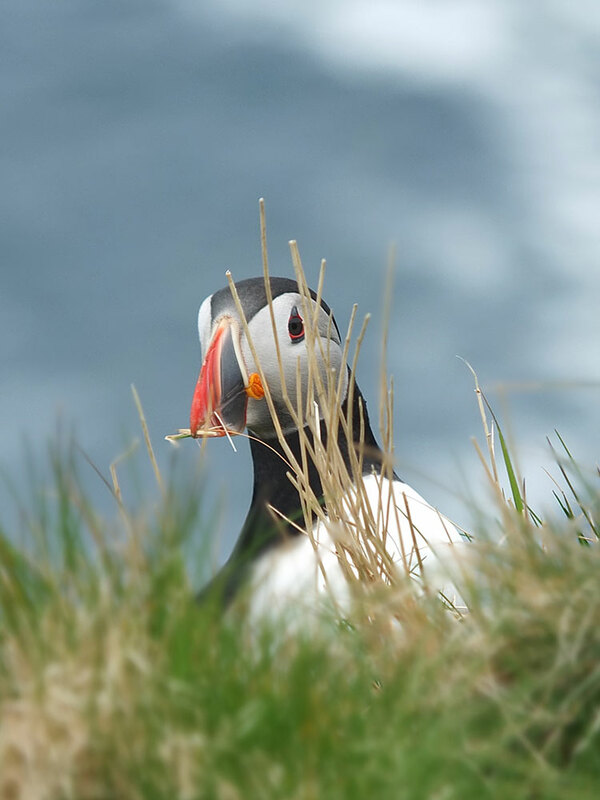 PLAN C Seabirds & Seals – 2:15 departure – Hop on board the Seabird catamaran with its underwater viewing for a three-hour cruise around the Noss National Nature Reserve and see Shetland’s spectacular birds and seal colonies. 6:00 pm – dinner in your hotel or make a reservation for Hay’s Dock Cafe Restaurant located in the Shetland Museum & Archives. 9:00 pm until late – Cocktails at the Mareel Cafe Bar (just next to Hay’s Dock). They often host informal music/art events, so check their website to see what’s on beforehand. Alternatively (or next, if you’re up to it!) upstairs in The Lounge Bar on da street hosts regular informal music sessions. To eat: Fjara Cafe Bar (best coffee, ever! ), New Havly Cafe (gorgeous mackerel pate and homemade oatcakes!) & C’est la Vie (posh French food) are my other favourite cafes. 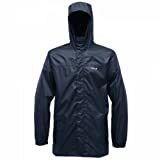 For outdoor gear: Outdoor Trek & Cee & Jays (I did tell you to pack waterproofs, didn’t I, up at the top of this post, but just in case you forgot – or didn’t believe me!). Northmavine is a dramatic volcanic landscape, as soon as you pass through Brae and Mavis Grind (where Shetland narrows and the North Sea and the Atlantic nearly meet) you’ll find yourself transported to an entirely different world. 7:00 am – Breakfast at The New Harbour Cafe – Â£4.95 for the best fry-up ever. Â£5.95 to fill hungrier appetites. 8:00 am – head north in the car. Stop at the Brae Co-op or the Hillswick shop for provisions for the day, your evening meal and breakfast the following morning. 10:00 am – park at the Eshaness Lighthouse car park. 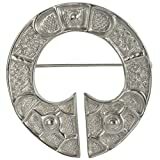 PLAN A – for walkers: do the Eshaness Circular making sure to explore the broch at the Loch of Houlland, peer down the Holes of Scraada and stop for a rest at Da Grind o’da Navir. This will take a good 3-4 hours, including rest stops. PLAN B – for climbers: check out this guide for Foy Corner, Perfect Groove & the Sirens of Calder. Visit the Shetland Climbing website for more information. 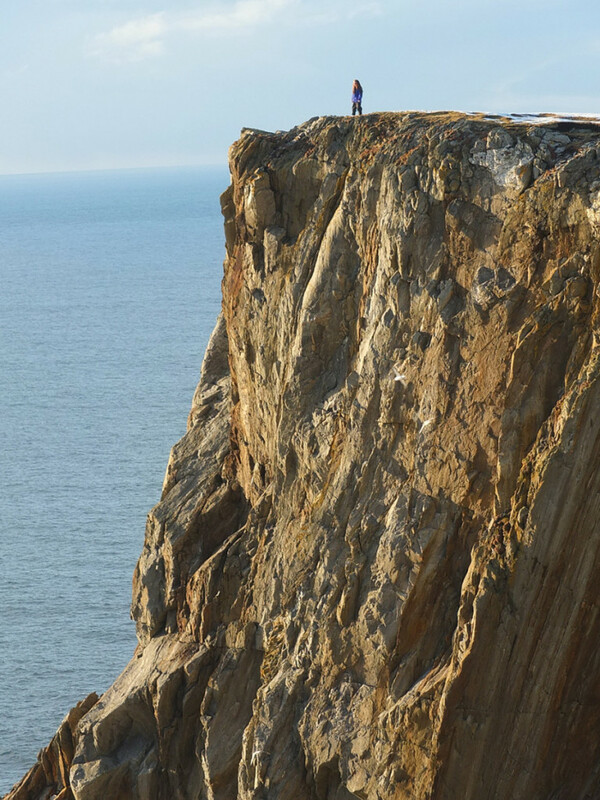 PLAN C – (if it’s poor weather): run to the cliff edge, hold on to your hat, exclaim at how far it goes down – try and ignore the vertigo – and take obligatory ‘I’ve been here’ tourist photograph for Instagram. Then, go and check out the Tangwick Haa museum for some history of the area. 2 pm – lunch at the Braewick Cafe & Caravan Park. Quality home cooking with local produce. Some of their meat is even reared in the croft next door. Book and pay for one of the Braewick Wigwams if you fancy staying in those for the night – they’re super cosy. 4 pm – walk down to the Braewick beach and check out the geology. There are old hardened bits of lava flow buried in the sand and evidence of the tsunami that swept over Shetland 10,000 years ago sandwiched between layers of peat on the cliffside. 7 pm – Cold dinner and a glass of wine in your wigwam or head to the St. Magnus Hotel in nearby Hillswick for some fine dining. Alternatively, nip to Brae and enjoy a fish supper at Frankie’s Fish & Chips, Britain’s most northerly fish & chip shop. It closes at 8 pm. Unst is the most northerly UK inhabited island, and it was the inspiration behind the map of RL Stephenson’s Treasure Island. He spent a lot of time here during his childhood as his family built the lighthouses. Unst is one of my favourite staycation spots in Shetland. Check out the stop-motion video we made with the kids a few years ago of one of our visits. 6:45 am – ferry to Yell. Book the ferry in advance and take cash to pay on board as they don’t take cards. Drive through Yell (no time to stop! ), noting, halfway, the creepy house on the hill to your left. That’s Windhoose, Shetland’s most haunted house. Catch the next ferry to Unst (you don’t pay for this one). 9:30 am – put your name on the ‘guests in’ board at the Gardiesfauld Youth Hostel. This is an independent hostel and it’s really well equipped and ideally situated for exploring the island of Unst. I can also recommend the Baltasound Hotel and the Saxavord Resort. 10:00 am – head north, briefly stopping at the Unst Bus Shelter and sign the guest book. Pop into The Final Checkout, just a few more minutes down the road, for provisions and fuel, if needed. 10:30 am – stop at the Skidbladner Viking Longship on the right-hand side of the road for a look-see. This is a replica longship that sailed from Norway en route to America and got stranded on Shetland. Check out my blog post on last year’s Unst Viking Festival held at this location. 11:00 am – early lunch at Victoria’s Vintage Tea Room. Their afternoon tea is a must-try! This is the only place on Unst you’ll get wifi other than the ferry terminal too, so catch up on social media here if you need to. 12:00 pm Visit the Valhalla Brewery where they make Viking mead and traditional ales. 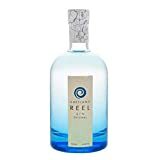 Pop into Shetland Reel Gin, next door, if you’ve got time. Book both in advance if you can. 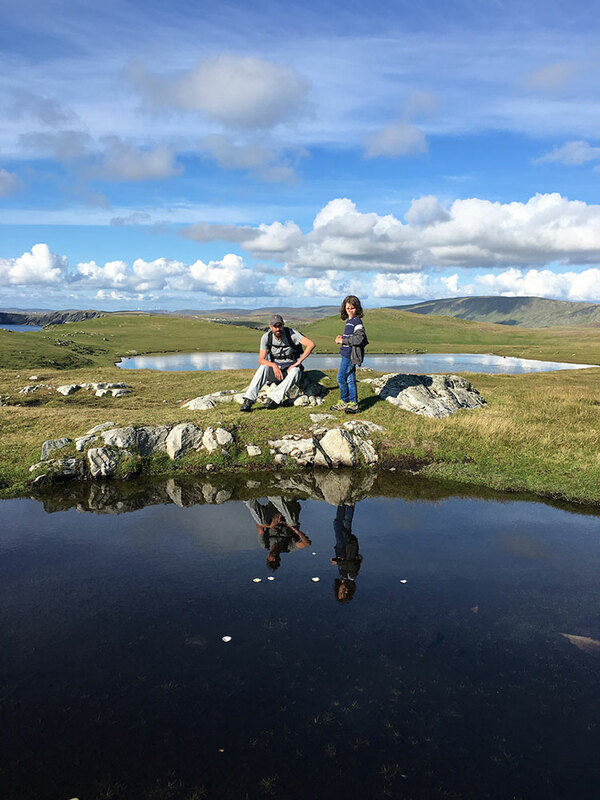 1:30 pm – Drive to the very end of the road, park the car and start walking the Hermaness Circular Walk #77 in Walking on the Orkney and Shetland Islands. Give yourself 3-5 hours for this walk. Note that you can only walk the coastal trail now, the inland path is closed to allow the landscape to rejuvenate. 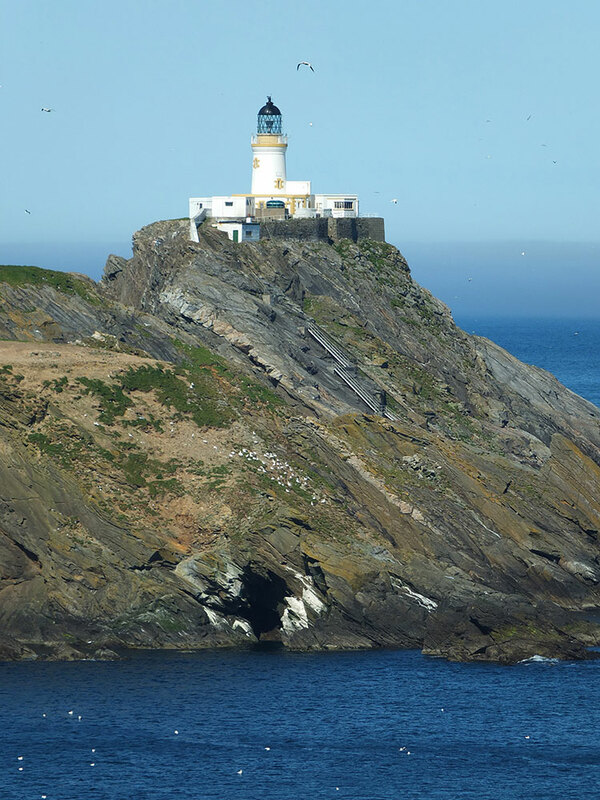 You’ll see the lighthouse at Muckle Flugga on an island at the northern tip of Britain and you’ll spot plenty of puffins too. On your way back, if there’s time, pop into the Hermaness Visitor Centre. 8:00 pm evening meal – either self-catering at the youth hostel or in your hotel – I’ve had delicious evening meals at both the Baltasound Hotel and the Saxavord Resort. The island of Yell, to me, used to be a place you drove through to catch the ferry to Unst. It was only a few summers ago I began to spend any time in Yell, and there are so many lovely beaches and hill walks there – well worth a visit! 6:30 am – ferry to Yell (sometimes you can catch the longer ferry which nips over to Fetlar and back to Unst again before heading to Yell – a nice little extra jaunt). 7:00 am – check into the Windhouse Lodge Camping Bod – book this in advance. They’ll hide the key for you if they don’t meet you first. 9:00 am – get provisions for lunch at the Aywick shop, Gutcher shop or the Brae stores next to the Ulsta ferry terminal. option 1: walk #70 in Walking on the Orkney & Shetland Isles – Stuis o Graveland, taking in The Eigg (pictured above). option 3: Breckon circular and the Sands of Breckon. 6:00 pm – L.J’s Diner & Pizzeria eat in or takeaway and back to the camping bod for dinner in front of a cosy fire. The south mainland is full of all sorts of history, archaeology and, if you’re lucky, the sight of orcas. early am – Ferry back to the mainland and drive south. Stop at any village shop en route for picnic provisions. 10 am – Head to Bigton and walk over one of the finest tombolos in Europe to St Ninian’s Isle. Leisurely explore the island. Leave island via the path and turn right onto the beach â keep following the coastline until you find secluded sea cave at the very end. Picnic in the shelter of the cave (this area can be a gorgeous suntrap sometimes!). 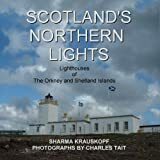 2:00 pm – Visit the Sumburgh Lighthouse. Leave beach and turn right towards Spiggie when you leave the village of Bigton. Continue to end of the picturesque road (you might want to stop for a photo of Spiggie Beach itself) and turn right back onto the main road towards Sumburgh lighthouse. Drive over airport runway (the only place in Europe besides Gibraltar you can do this!) and continue to the lighthouse. Park car at the bottom and walk up the hill along the stone wall, peeking over the edge for puffins and, if you’re lucky, orcas or minke whales. 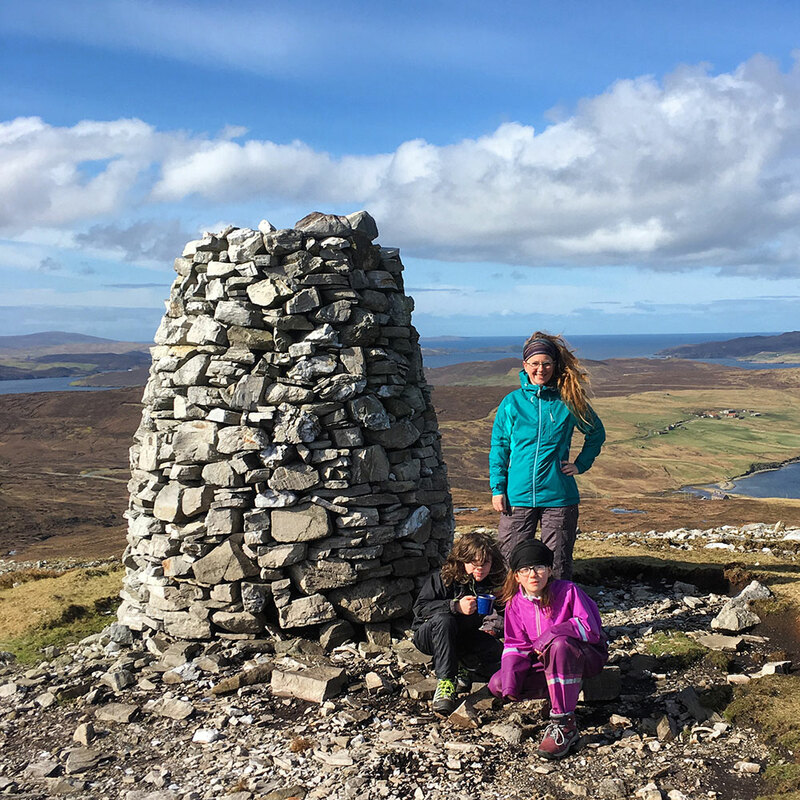 4:00 pm – Visit the Scatness Archaeological Site. This iron age broch and settlement are well worth a visit. 6:00 pm – Vist the Jarlshof pre-historic and Norse settlement. Alternatively, book yourself into the hotel in the early afternoon and walk the coastal path up to the lighthouse after visiting Jarlshof. 7:00 pm – Evening meal & overnight stay at The Sumburgh Hotel. Outdoors – go fossil hunting at Exnaboe; west voe sands, Catpund Quarry. For me, the central mainland encompasses Scalloway and Burra. Take the meandering road through the Tingwall valley for a nice scenic drive. 9 am – West Burra to Kettla Ness walk. 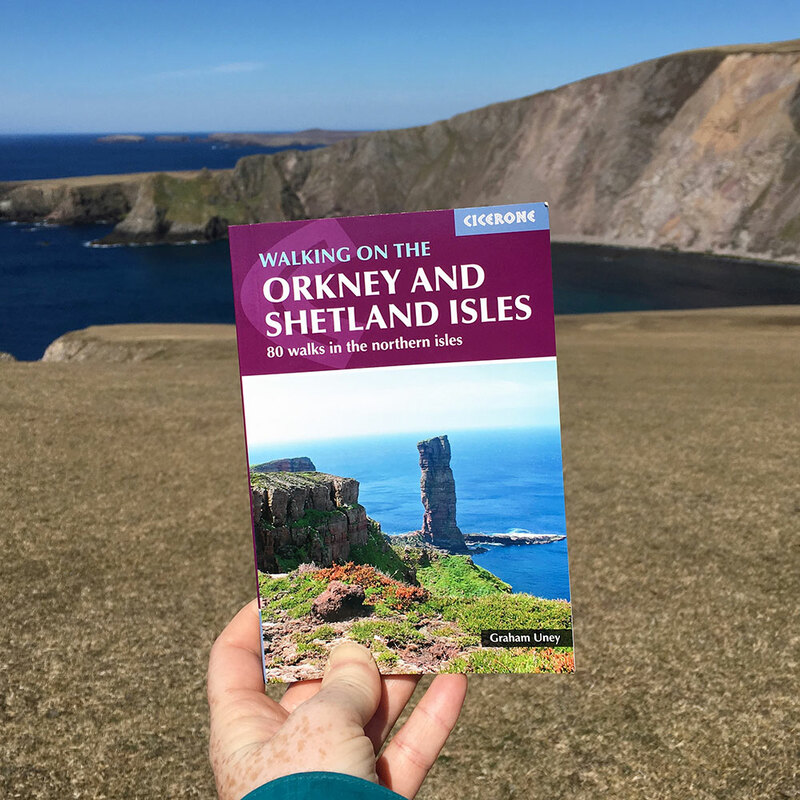 Walk #39 in Walking on the Orkney and Shetland Isles, this is one of my favourite walks, taking in the white sands of Banna Minn beach and the stunning cliff top walk with views over towards Foula. Pictured above, floating limpet shell boats in one of the tiny lochs up on the hill last summer. 1 pm – Lunch at Da Haaf Restaurant. Specialising in freshly caught and landed fish, with gorgeous sea views over Scalloway and Trondra. Lunch is served between 12 – 2:30 pm. 3 pm – Visit the Scalloway Museum and pop into Scalloway Castle for a look-see. The castle was built in 1600 by Patrick Stewart, 2nd Earl of Orkney, during his brief period as effective ruler of Shetland, and the museum is well worth a visit if only to see the pile of ashes from the last witch burnt in Shetland! 6 pm – Evening meal & overnight stay at the Scalloway Hotel. The Scalloway Hotel is Shetland’s only 2 AA rosette restaurant, and in 2018 they won both the Informal Fine Dining Hotel and Bar Dining Hotel in the Scottish Hotel Awards. Outdoors: Check out the Smuggler’s Cave in Hamnavoe while walking the Hamnavoe Circular (2 hours). Alternatively, take in the Scalloway to Burwick Circular, a 5-hour walk. West is best, they say, and the West Mainland of Shetland is a treasure trove of nature, wildlife and history. It’s also where I call home. Pictured above, the cairn at the top of Mid Field. Early morning: pick a hill walk! Walk #48 in Walking on the Orkney & Shetland Islands – Scalla Field and the Butter Stone. Park in the Burn of Lunklet car park and follow the trail up past the waterfall. Walk #44 – Westerwick and Culswick (10 hours). You can shorten this by parking at the end of the Silwick road by the barn, and follow the coastline over to Westerwick (1.5 hours) or by parking at the end of the road at Culswick and follow the trail to the Culswick Broch (2.5 hours). Walk #46 Mu Ness to Deepdale over Sandness Hill (pictured above) – but watch out for the bonxies. Not even kidding, you might just want to do the coastline bits of this walk and steer clear of the inland bits unless you want to spend an extra few hours detouring around Great Skua nests. Trust me, they make you feel very unwelcome. Blood could be drawn. The Melby Fish Beds in Sandness – park at the Sandness pier and follow the coastline (3 hours). Visit Da Brigs in Vementry. Turn towards Aith and then drive to the end of the Vementry Road. Park in the layby and the path is signposted on the other side of the road (2 hours). Plan B if it’s a day of poor weather – try out the new climbing wall at the West Mainland Leisure Centre and visit the Bonhoga Gallery for the latest exhibition. The west mainland is a nice scenic drive too, even in the rain, turn left towards Reawick/Skeld at Park Hall (just after Bixter) continue on to Walls and then follow the signs to Sandness. On the way back, turn into Aith and drive over ‘the Alps’ with a stop at the Hayfield Croft cake fridge – Shetland’s famous honesty box. Lunch: 11 – 2 pm on Friday kirk tea in the Walls Methodist Church (excellent reestit mutton soup with a bannock and a gorgeous slice of homemade cake) or lunch at the Bonhoga Cafe (open 10:30 am – 5 pm weekdays, 11-5 on Sunday). Evening: Catch the ferry (evening meal on board the ferry) or stay at the Burrastow House Cottage (this is where my profile picture was taken). Evening meal in Burrastow (expensive, but definitely worth it). Outdoors: Staneydale Temple (Walk #45); Michaelswood in Aith; Reawick Beach; Da Gairdins i Sand & Sand Beach; Lea Gardens in Tresta; Sandsound. Catch a 7-seater aircraft from the Tingwall airport over to Fair Isle for the day. 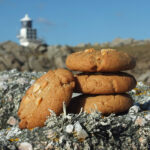 Hams of Muckle Roe – follow the coastline around from the beach to the lighthouse to the hams. Go Sea Kayaking with Sea Kayak Shetland – Angus is an excellent guide and he’ll safely take you on a coastal exploration of the islands. No experience necessary. I went on an epic trip of Rona’s Voe with him one summer. Above is the first episode of a brand new vlog series our youngest son and I are making! Don’t forget to subscribe to our YouTube channel so you don’t miss new episodes! Due to the fact it doesn’t get dark here in Shetland it the summer, it means there’s plenty of opportunity for outdoor adventuring. In the Winter months though, Shetland has its own magic. Think cosy fires, steaming bowls of reestit mutton soup and bannocks. We’ve also got the Up Helly Aa fire festival, Europe’s largest fire festival. Check out my Up Helly Aa Fire Festival Survival Guide. Have you visited Shetland, or do you live here and have a favourite spot I’ve missed? What would you add to this list? Let me know in the comments! These photos of Shetland look stunning. When is the best time to enjoy the Shetland Islands? Are they part of the Hebrides Islands? I’m glad you like my photos! 🙂 There are so many better ones out there than mine, but I do try. 🙂 I think the best time to visit Shetland is in the summer – July, usually. You get the best chance of good weather and the long days to explore. Shetland isn’t part of the Hebrides no, we’re north – up between Iceland, Scotland and Norway. I hope you get the chance to visit us some day! Ohhh this is fantastic! 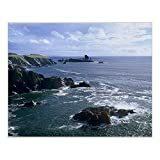 I stumbled upon your post looking for information about the Shetland Islands. It looks deliciously windblown and lovely! 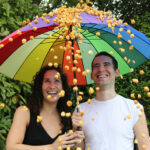 Such great pics, and great blog too! Wow, Elizabeth, I am impressed. It appears that you discovered just about all you can do in the Shetland Isles. I had never considered spending a whole week there until now. This is an amazing itinerary which I hope to put into use, Elizabeth! I haven’t heard of the Shetland Islands until now, but they seem like a real hidden gem. When would it be the best time of the year to undertake a road trip there? I’ve never been to the Shetland Islands before, but it looks incredible there! When Nathan wakes up I’m telling him that we NEED to come visit as I want to come and explore RIGHT NOW!!!! This place looks amazing, I have always wanted to go here. Now I want to go even more! Oh wow this is amazing! The shetland islands are somewhere I have always wanted to visit and now I just want to go even more! How beautiful!! I like the idea of visiting the Shetlands in the winter when the atmosphere would be quite different from the summer months. Wow! This looks amazing, I would love to visit and your itinaerary is amazing. Thanks for putting it together. What a beautiful road trip full of gorgeous nature. That picture of the puffin is amazing! I love how you have got plans A, Band C for the trip – such a good idea. This looks like an amazing itinerary. We are trying to do more UK based travel while our daughter is little and this looks like a really memorable and special trip. Especially the sea kayaking option would be fun for me. Wow this all looks amazing, I’d love to visit one day – so much to do and see! Fab guide. I’d love to bring the kids up to the Shetland Islands so this is such a handy post. I’m desperate to see the Northern Lights and have never seen a puffin in the wild so that’s two good reasons for starters. 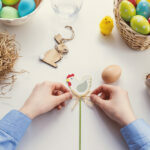 Your photos are stunning – it really does look so beautiful! 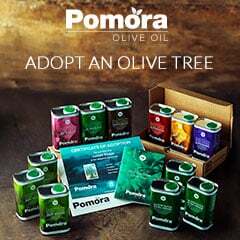 I’ve just emailed this link to my sister. 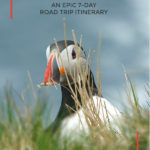 It’s just the kind of itinerary that appeals to us both – and the picture of the puffin alone will be enough to tempt her let alone the amount of planning and detail that’s gone into this. Seriously want to get on a plane right now. Aaaaaagh. I already really wanted to visit the Shetland Islands and now I almost feel I have to! What an awesome itinerary! Wow! Ever since i watched the TV drama Shetland, its all i have been thinking about when it comes to travels. I love this itinerary and it would be awesome to visit one day. I’ve always wanted to go to the Shetland Islands – they are so beautiful! Maybe when my kids are a bit older we can make it a reality as your 7 day journey makes me want to go even more! Northmavine looks amazing and I love that view of the lighthouse! I’ve never really considered the Shetland Isles but this is just gorgeous! That bird photo is National Geographic material! 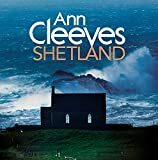 The Shetland Isles have been on my list for ages – my dad’s wife grew up here. The ferry journey (and long drive from southern UK) puts me off though, I’d definitely be in the cabin for the journey! Your itinerary sounds amazing though and right up my street, I love that it’s all personal recommendations. I didn’t know very much about the Shetland Islands before now. It looks stunning though! Especially Northmavine and Unst. Hopefully I will get to follow your guide and see everything for myself one day. 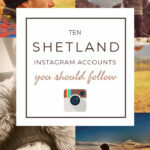 I have always wanted to visit the Shetland Islands, so this post has me inspired!